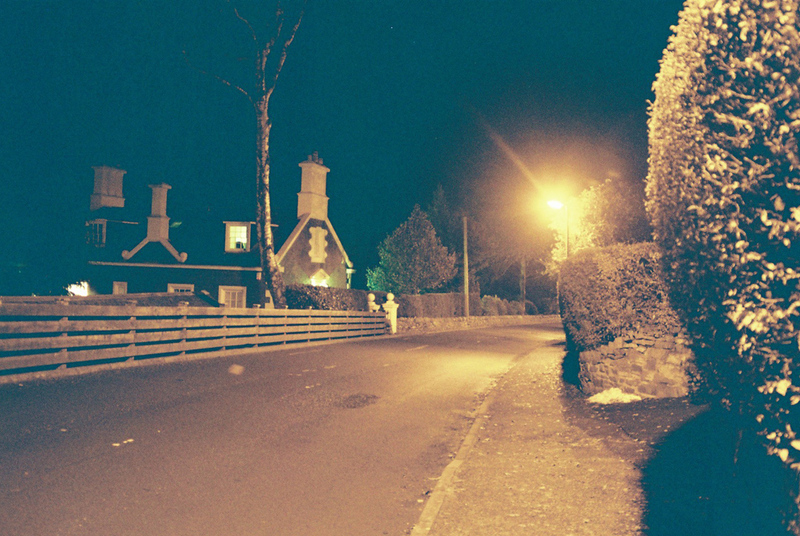 When the “yellow lights” first arrived in Kirkwall more than 40 years ago they began in Palace Road, King Street and School Place, and gradually spread all over town. Children were fascinated not only with how much light they provided, but also how they changed the colour of clothing and skin. They were a novelty. 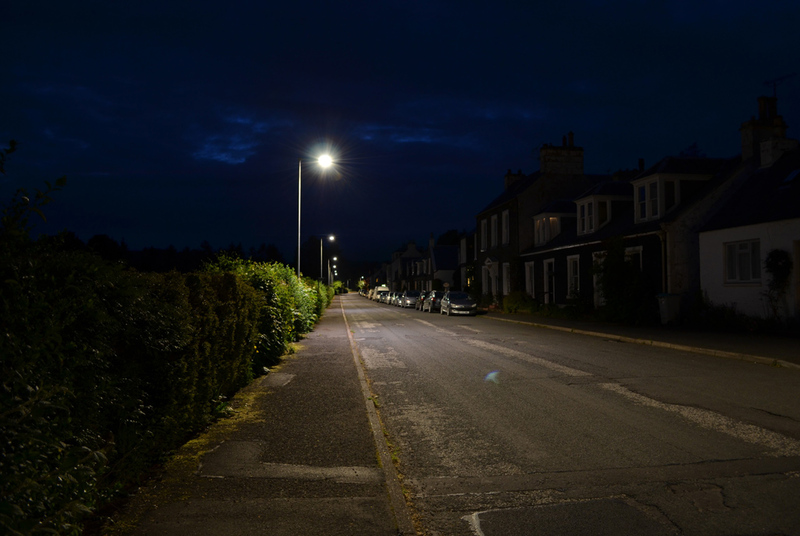 “It’s almost as light as daytime,” we used to say and in some lucky households, if you happened to have a streetlight right outside your house, you could get up in the middle of the night and still see where you were going without having to turn on any of the house lights. But there was a flip side: the stars weren’t as clear as they used to be, so if you wanted to do a bit of serious stargazing you had to get out of town to do it. Approaching Kirkwall from Finstown you could see the yellow haze of the street lights over the top of the hill, but we thought it was wonderful, all this light. These days things have changed. 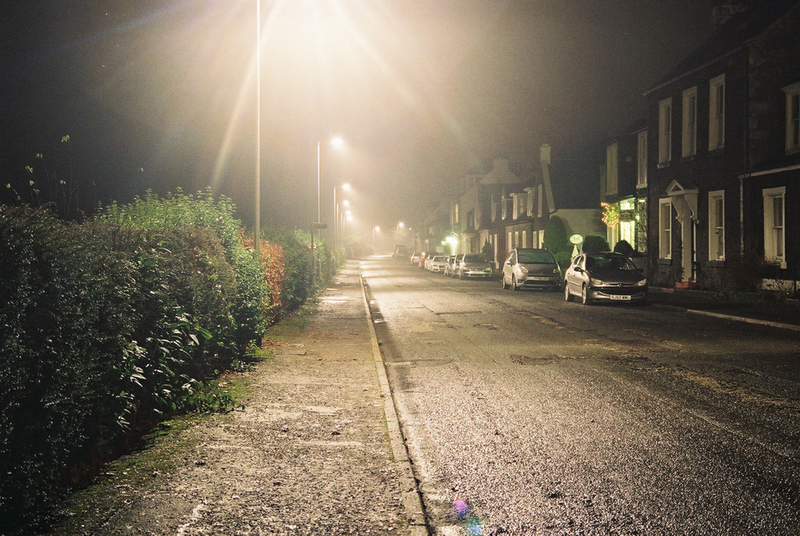 We talk about “light pollution” and how to combat it while ensuring that our streets continue to remain well-lit. We are concerned about the amount of electricity we are using and the size of our carbon footprint. We have even become concerned about the effects of artificial light on our wildlife and ourselves. There is now a global organisation committed to reducing our light pollution and rewarding communities who do just that. The International Dark-Sky Association (IDA) developed out of UNESCO concerns about the amount of artificial light that was being dispersed into the atmosphere. Based in the USA, IDA is a not-for-profit organisation which was incorporated in 1988 by its founders, professional astronomer David Crawford and physician and amateur astronomer Tim Hunter. The IDA’s mission is “to preserve and protect the night time environment and our heritage of dark skies through quality outdoor lighting”. 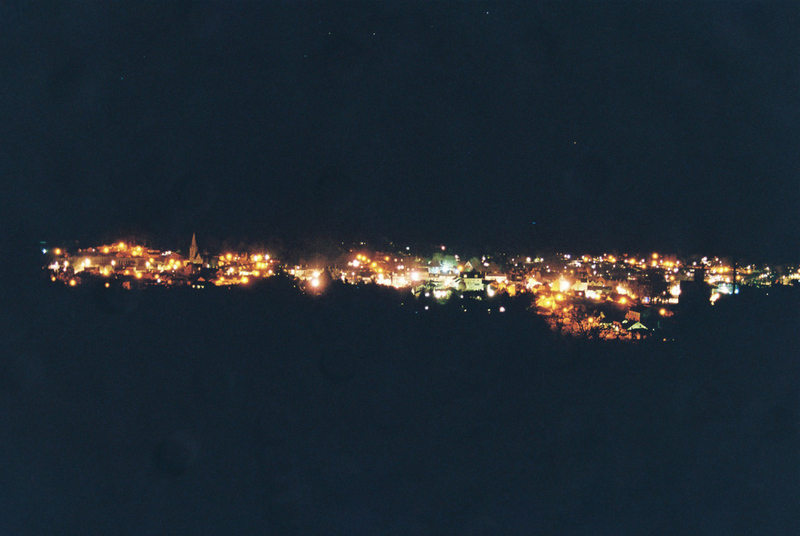 According to the IDA, light pollution is caused by outdoor lighting which is not properly shielded and which allows light to be directed into the eyes and the night sky. Light that shines into the eyes is called glare, and light which shines into the night sky above the horizon is called skyglow. 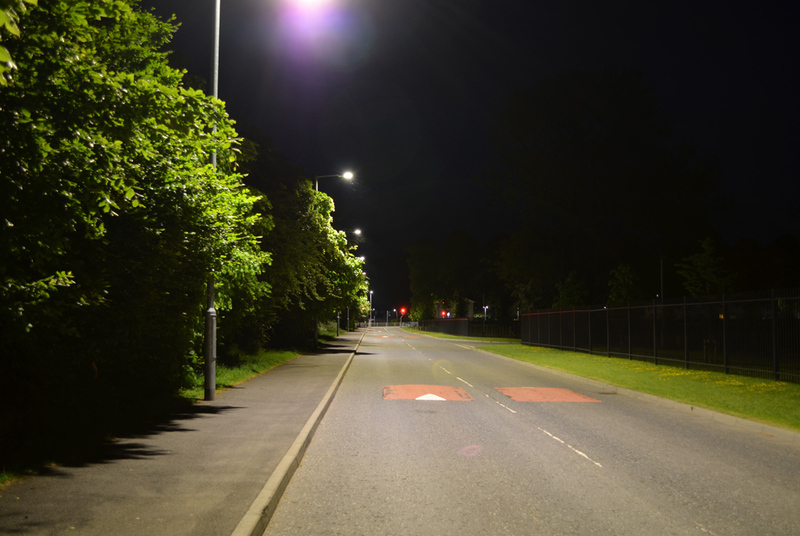 The IDA and other related organisations are currently conducting research into the effects of light at night (LAN) on human health and ecology. Although the IDA is an international body, most of the interest in creating Dark Sky areas and communities initially came from North America, which is what makes Scottish successes in Dark Sky status all the more meaningful. Galloway Forest Park achieved the first Dark Sky award in the UK, and also in Europe. The man who masterminded the lighting plan for Galloway was Hamilton man James Paterson, who has more than 50 years’ experience in the lighting business, having begun work with Lanarkshire County Council in 1958 as a lighting engineer. Galloway Forest Park was his first Dark Sky project and received recognition from the IDA in 2009. Since then Jim has come up with master plans for various other Dark Sky projects including the Isle of Sark, Galloway Dark Sky Observatory, National Parks of Exmoor, Brecon Beacons, Northumberland with Kielder Forest and Snowdonia National Park. 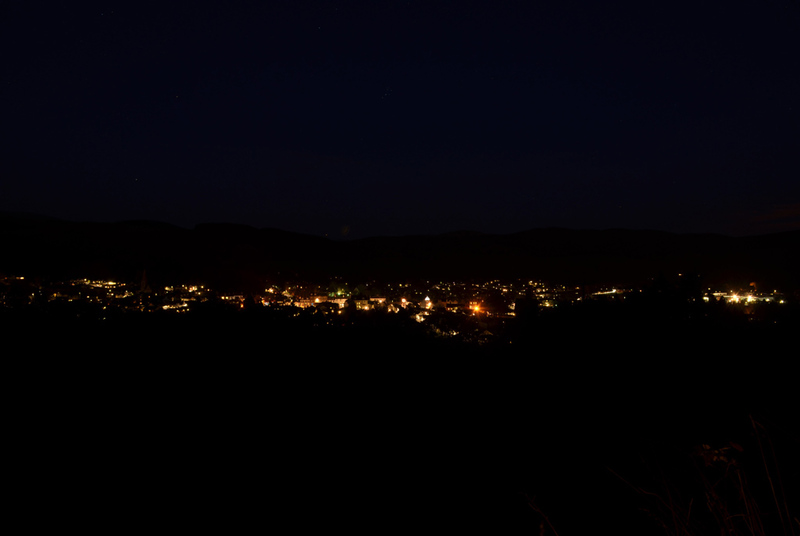 Just recently, the community of Moffat, Jim’s eighth Dark Sky masterplan, has been officially recognized as a Dark Sky Community by the IDA. Moffat is home territory for Jim and having already had success in Galloway it seemed like a natural progression to, as Jim puts it, “grow the darkness” over a wider area of southern Scotland. The announcement of Moffat’s Dark Sky status may have been a little premature. The community were hoping to make it official round about March 20-25 to coincide astronomically with the rising of Aries in the night sky. Aries is traditionally portrayed as the ram and coincidentally the mascot for Moffat is also the ram. However, as far as the astronomy interest goes there may be a chance for two bites of the cherry. As a result of slow changes in the earth’s movement over thousands of years, Aries now rises in September instead of March, Jim says, a fact the Moffat astronomers are keen to exploit. They see their Dark Sky status as much more than energy conservation. They also recognize the potential for tourist attraction, particularly during the winter months. Right now Jim is doing some work for the Glenlivet Estate, a Crown Estate which is part of the Cairngorms National Park. It includes more than 30 tenanted farms and four whisky distilleries. He has also been asked to draw up a masterplan for the island of St Helena, Napoleon’s final place of exile. So although creating Dark Skies is something in which many sectors of the community have a vested interest such as tourism, astronomy, environment, health, to name a few of the more obvious ones, the road to reach that goal is not always smooth. Even the IDA itself has been known to change some of the ground rules, although in the case of Moffat the IDA said the community had achieved well beyond requirements. How could the lessons Jim has learned translate to cover communities such as Orkney? Well, suggests Jim, starting with the outlying islands would be the easiest way to begin. For example, North Ronaldsay, Sanday, Westray. “Take small chunks and bite away at it and work back towards the mainland,” he suggests. Yes, it can be expensive, but funding is available to communities who have a commitment to reducing their carbon footprint. Also costs can be reduced in the first instance where lamps are flat glass lanterns. In this case there is no need to change the sodium bulbs for LEDs. It is a cheaper option which reduces light emission into the sky immediately, says Jim, but unfortunately provides no energy saving bonus. In order to qualify for funding in Scotland the project has to satisfy energy-saving requirements. 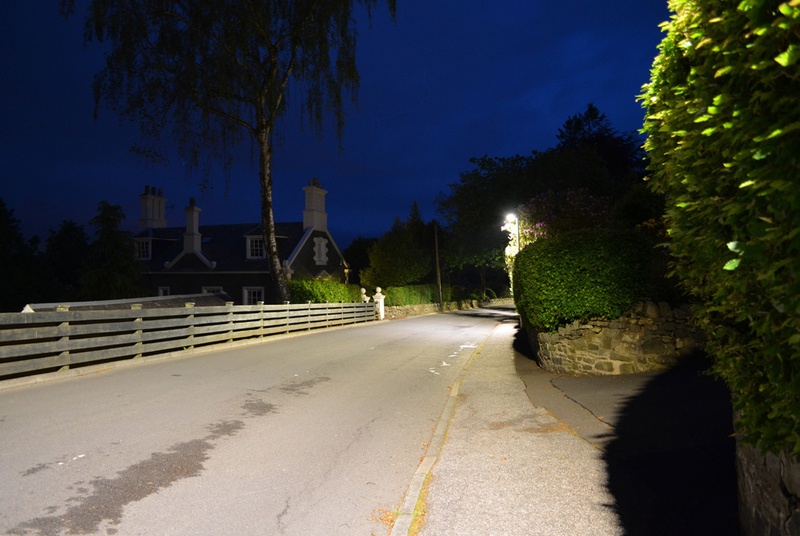 For example, Moffat, a small community of around 2,500 people, saw an instant reduction of 20 kilowatt hours (at least £9,000 per annum in energy costs) without switching off any street lights, Jim says. Also the quality of the sky darkness has been measured (in magnitudes per square arc-second) and improvement has been recorded at nine different locations in and around the town. 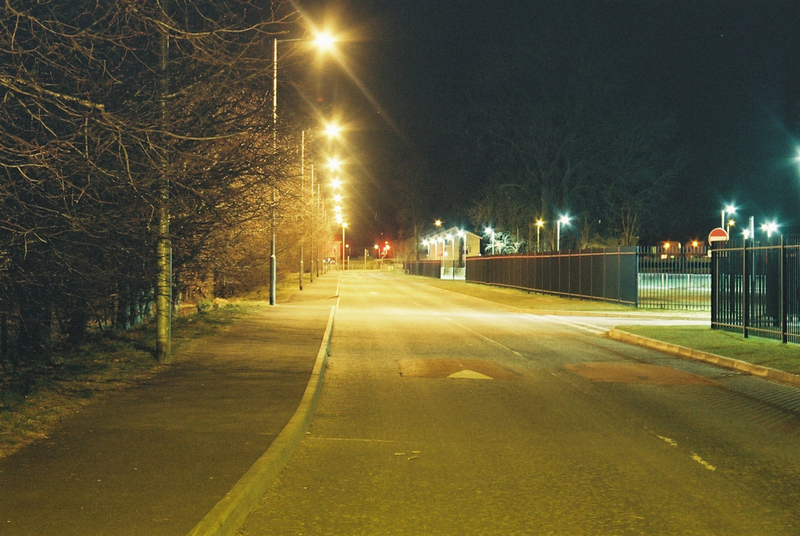 Jim undertook a series of comprehensive tests to ensure there was no loss in the quality of light on the streets. The photos show what the tests demonstrate; that the quality of light is remarkably enhanced by the change from yellow to white (sodium to LED). But that is the only negative, if you can call it that. There have been so many positives from people commenting on how much better the streets look, to how much better they are sleeping at night, and even positive comments from people with impaired vision saying they can now see better at night.